"Delicious, yet so easy to make. 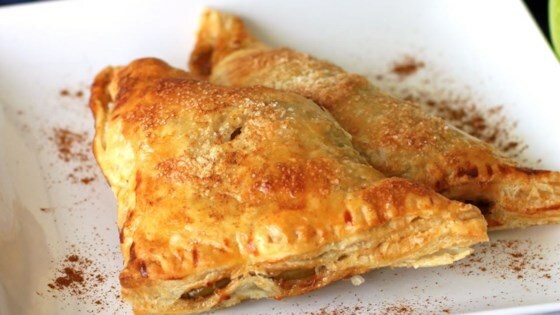 Anyone can do these classic apple turnovers!" Anyone can make these delicious homemade apple pastries. If you do not wish to make the glaze, you can brush beaten egg over the top of each turnover, and sprinkle with white sugar before baking. Amazingly good and so easy to make! Make sure to keep the pastry crust cold so that it doesn't fall apart!